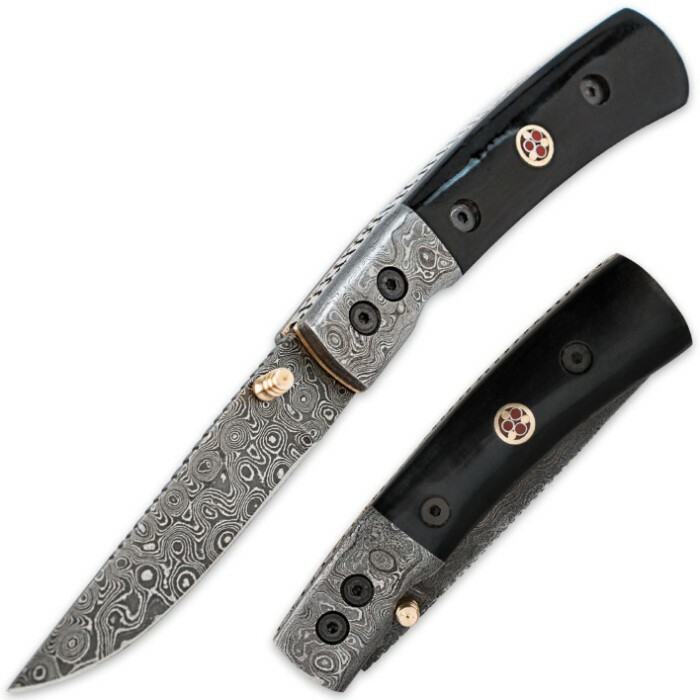 Timber Wolf Raindrop Damascus & Black Buffalo Horn Folding Pocket Knife | BUDK.com - Knives & Swords At The Lowest Prices! If you're looking for a new folding pocket knife with that custom-designed, one-of-a-kind look and feel, then this handsome new piece from Timber Wolf is the answer. High-end materials like the genuine black buffalo horn and premium Damascus steel, combined with top-quality construction and fine craftsmanship set this folding knife above the rest of the crowd. The razor-sharp Damascus steel blade has an intricate raindrop pattern that the collector will love. 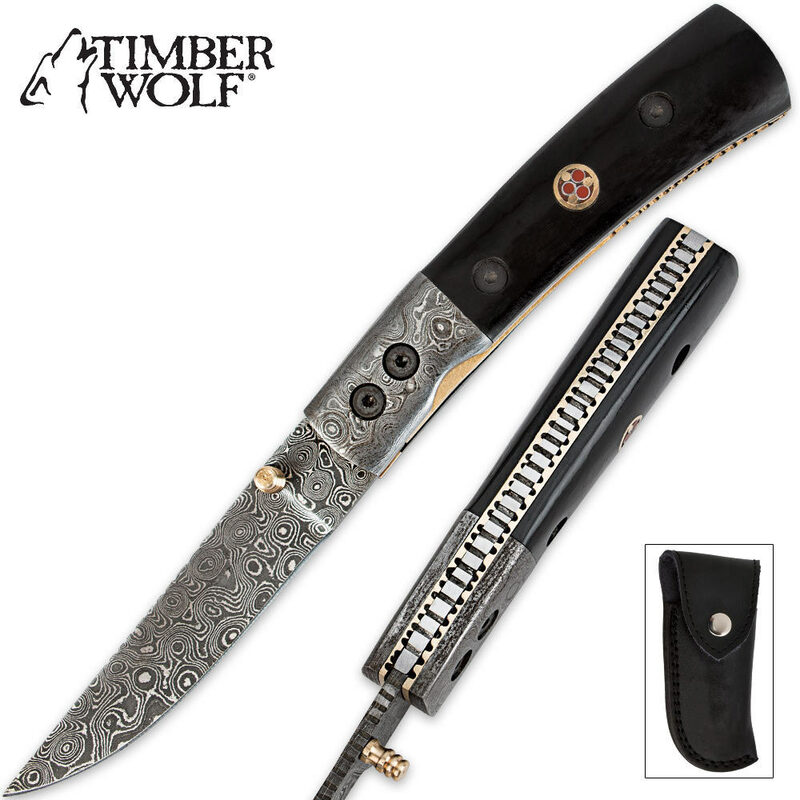 A scalloped spine, Damascus bolster and brass thumb stud complete the blade, while an inlaid mosaic pin and gleaming file-worked brass liners accent the buffalo horn handle. 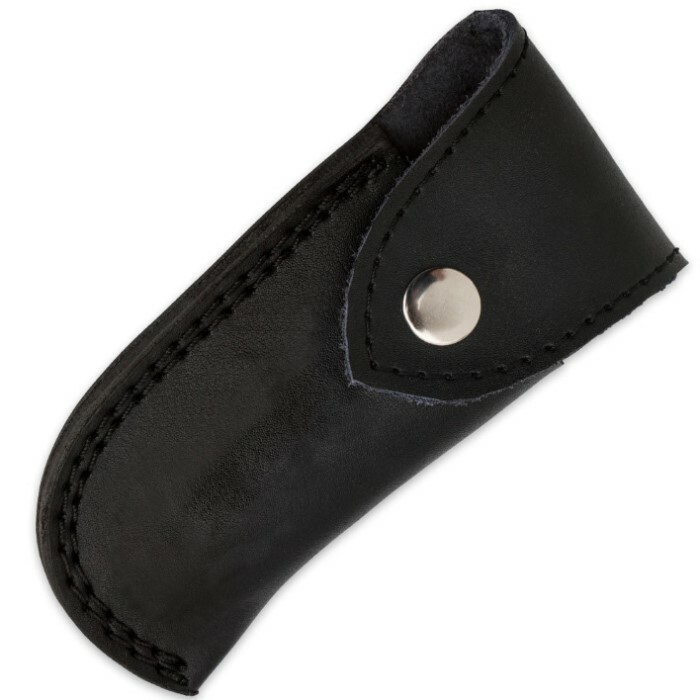 At 4-1/2" closed, it makes an ideal everyday carry.